Ancor Loc Earth Systems Australia Pty Ltd offer superior earth anchoring systems, innovative solutions to anchor problems and engineering and field services. 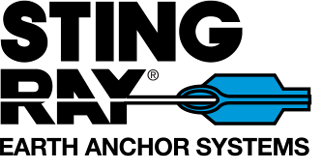 Continuing to set the bar in earth anchoring innovations, and patented anchors worldwide. Our product is suited to a number of industries and is the initial model of its kind. It is a quality US product backed up by engineering, research and development. We have also had independent geotechnical engineers produce a technical manual exclusively for our product on design, installation and testing procedures. At Ancor Loc Earth Systems Australia Pty Ltd, we offer superior ground anchors and earth anchoring systems. Our earth anchors provide innovative solutions to anchor problems and engineering solutions to field services. Continuing to set the bar in earth anchoring innovations and patented anchors worldwide, we provide products that are second to none. Our products are suited for projects across a number of industries and our initial model is one of its kind. It is a quality US product backed up by engineering, research and development. We have also had independent geotechnical engineers produce a technical manual exclusively for our product on design, installation and testing procedures. DUCKBILL Earth Anchors can be cabled with a variety of tendons. From galvanized aircraft cable for normal usage to stainless steel for superior corrosion resistance. Manta Ray® Anchors are driven into the ground, not augured or torqued. No holes are dug, thus no disturbance or displacement of soil occurs during installation. STINGRAY anchors are made of hot dip galvanised ductile iron. Structurally compatible anchor rods and end terminations for guy line or retaining structures are available for all anchor models.